SW-MOTECH STEEL-RACK is used to fit SW-Motech Trax Top Box on the Suzuki V-Strom 1000 ’14-onward. 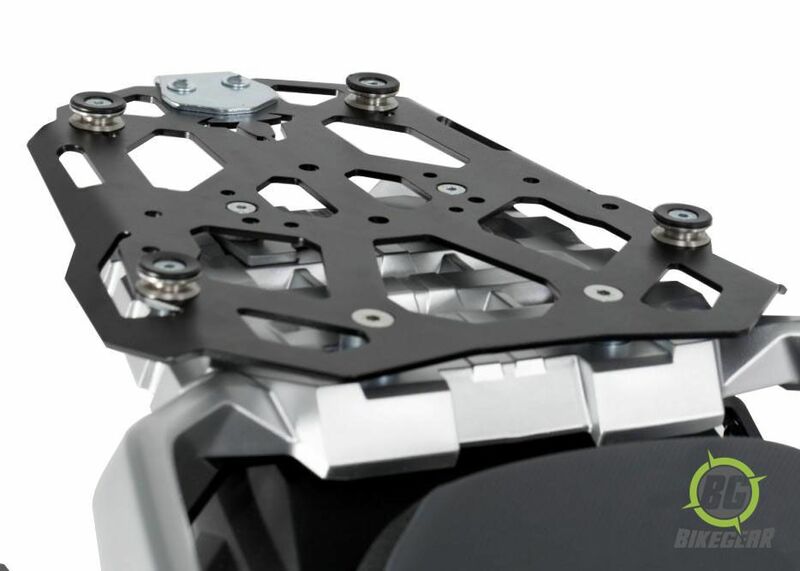 The SW-MOTECH STEEL-RACK is used to fit SW-Motech Trax Top Box on the Suzuki V-Strom 1000 ’14-onward. 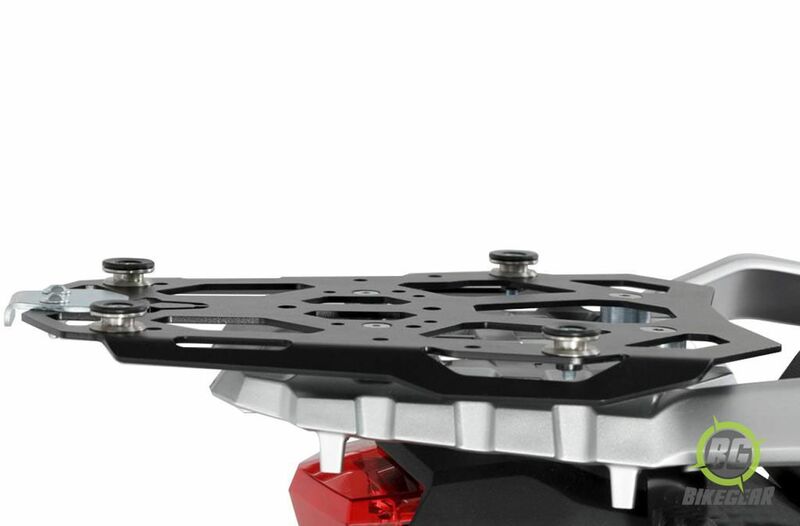 Serves as a strong foundation for mounting hard and soft luggage to the tail of your motorcycle. Laser cut steel construction is powder coated black to enhance durability and corrosion resistance. 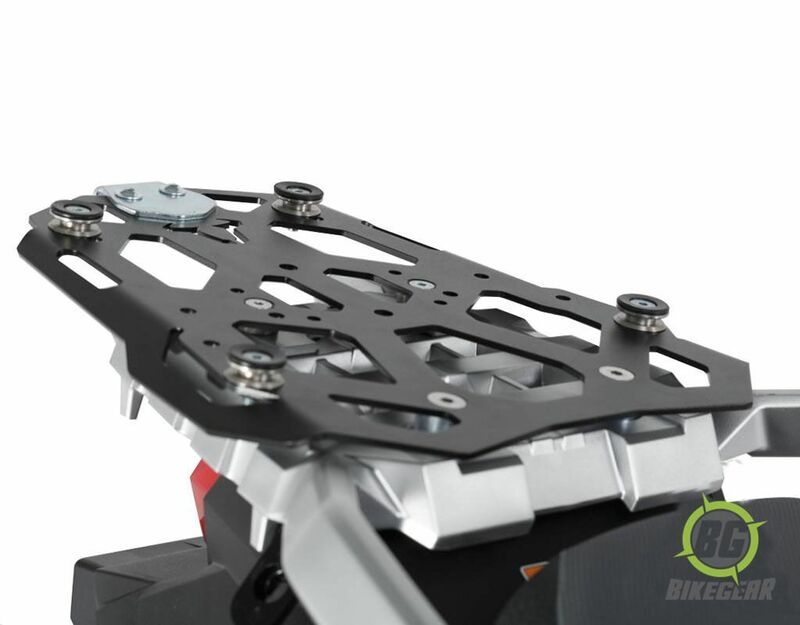 Installation of this rack does not require modifications like drilling, cutting, welding or anything else that cannot be undone should you wish to return the V-Strom back to its original configuration. 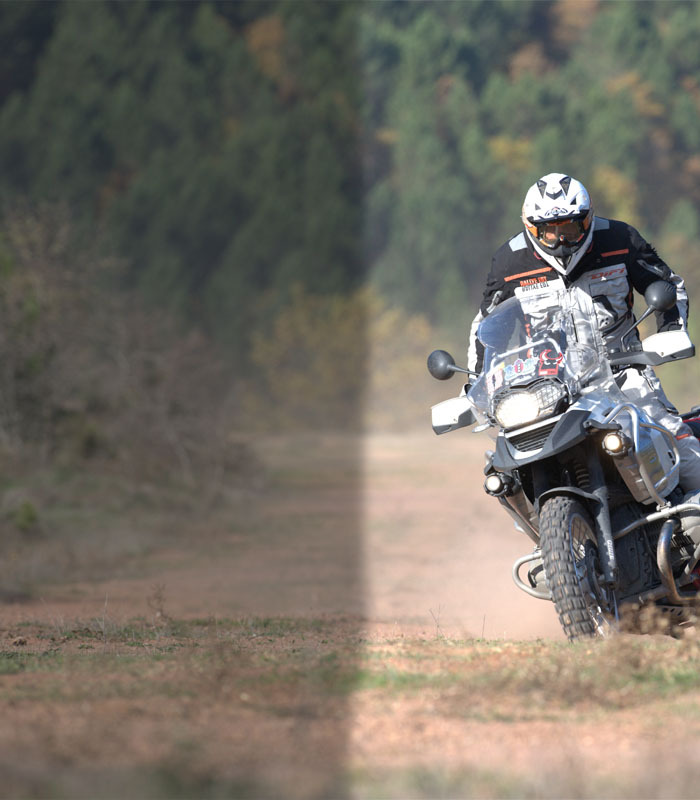 All components are designed and engineered in Germany for superior quality and craftsmanship that integrates perfectly with the capabilities of your motorcycle. Add some serious utility to the V-Strom 1000 with this STEEL-RACK from the luggage experts at SW-MOTECH!